A close look at the calendar reveals that today is the 10 year anniversary of one of the marquee moments in living American’s lives. The very date of September 11 invokes an imaged of terror and death, and marks a sea change in the way we see ourselves as a people and as a nation. I feel compelled to take notice of the event as I am a red blooded American, but I shall do so in typical Baboon fashion, by telling the story of a geographical location within driving distance of Atlanta (about 1½ hours away) created by a U.S. Citizen, Georgia resident and folk artist by the name of Bob Hart near Athens. 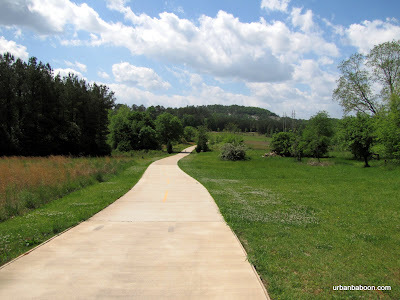 The place is called the 9-11 Memorial Garden and Trail, which is located on his property and is open to the public at 320 Morton Farm Lane in Athens GA.
Mr. Hart, a retiree from the University of Georgia, was so moved by the moments of that fateful day that he felt compelled to create something and made a personal monument to the tragedy and to the lessons which, hopefully, a grieving nation learned that September morning. It would be categorized as a folk art piece which I believe is fitting for a moment that struck a chord with every echelon of person in American Society. It is a simple trail about 300 yards in length walking through a young forest. As you enter, there is a visitor’s sign-in book and a copy of the book, Portraits: 9/11/01: The Collected "Portraits of Grief" from The New York Times , which gives a short bio of every person killed in the attacks. The construct that holds the books is adorned with two quotes from Holocaust survivor Elie Wiesel. The first reads, “Memory may be our most powerful weapon against fanaticism” and the second adds, “To live through catastrophe is bad, to forget it worse.” These sentiments are well chosen and well said to get your mind in the mood for a reflection of the events of 9-11. The artwork itself is simple and mostly abstract, with items representing special numbers or places related to the day. As abstract art is often difficult to understand, the artist has placed several markers explaining his intentions. And they are rather straightforward, saying things like the red beam on the Pentagon Memorial represents the side that was struck by the aircraft and which was still on fire at the time of the monuments creation. 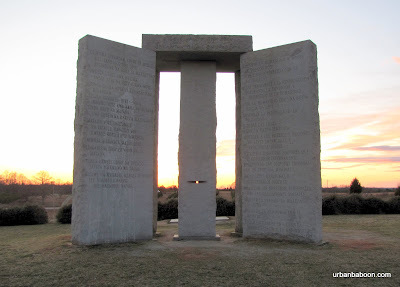 There are four such special memorials along the trail: the Pentagon, the World Trade Center, Flight 93, and one to the noble concepts of Faith, Hope, and Love (this last piece has contributions from Athens artist Mary Padgelek). There are also a few other pieces of art placed throughout the trail, the most notable being an iron sculpture near the front called Migrations by local artist Harold Rittenberr. There are also several benches to sit upon for rest and reflection. The most thought-provoking works are the signposts along the trail. They were simple wooden posts that resembled directional signs. There were 99 of them, a number chosen by multiplying the numbers in the date of the tragedy. On each sign were the hand painted names of every human being who died as a direct result of those terrorist attacks. These brought back vividly the human cost of the 10 year old event. They were people out there, like you and me, who were killed in this senseless act, and the power of a person’s name can bridge the gap between abstract and reality. Each is a person who had a job and a family and hopes and dreams. Atop each pole is a small hand painting, often of the U.S. Flag, but at other times about other concepts that should also not be forgotten like Love, Liberty, and Justice. It would be difficult to visit such a place and not reflect on the attack on the United States, which brings me to the thoughts that swirled in my head at the memorial trail on that infamous moment and the 10 years hence. I remember the events as we all do. The feelings we all have are fairly universal; anger, sadness, fear, disgust, are all common. I was struck deeply by the days that followed. For a short while, we acted as one America in love with the country, what it stands for on its best days, and our fellow countrymen. I was so moved I even rooted for the Yankees during the November Series (and I am a baseball purist, as you know, and that is a monumental step). But that feeling of fellowship and brotherhood drifted away from us. We let the worst parts of our collective psyche take over. We became a country filled with infighting. We became a country that trashed our 1st amendment protections, especially when it came to Muslim Americans. We became a country that was horrified to see Americans die in the destruction of iconic building, but who could make a top priority repealing a law that might keep fellow Americans dying due to lack of or inadequate healthcare. We became a country who trusted no one, and even questioned the legitimacy of birth of the person in the highest office in the land. We became a country that applauds at the mere mention of executions and that holds parties at the news of people’s deaths. We became a country that invades other countries for little or no reason, a renewed imperialism. We became a country that no longer cared about our hopes to be the beacon on a hill for all to emulate. We became a country that no longer cared about justice, right and wrong, and our fellow man, let alone our fellow citizens. I can’t help but look at the 3,000 names printed with love on the signposts and think that they would turn over in their graves, if they had graves and knew this was their legacy: that we the living, have let them down, and allowed their deaths be in vain. So that’s the feeling I get from spending time at Bob Hart’s 9-11 Memorial Trail. They are holding a Commeration there at 6:30pm today and I encourage you to visit then, or at another time, when you can. Look at the names and look for the strength to be a better person and American. I know that this place challenged me to be just that. There is a video you can watch here Watch. Tucked into the Northwestern Corner of our state is Lookout Mountain. On one side of Lookout Mountain, you have the pretty and pristine park known as Cloudland Canyon. 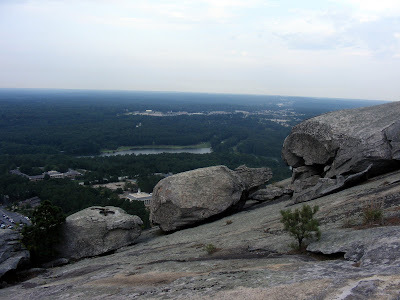 On the other side of the Mountain, you have one of the most well-known tourist attractions in all of the Southeastern United States: a place that has attracted and is still attracting millions of visitors for better than 75 years. To be honest the entrance to this particular place is in Tennessee, just a stone’s throw outside of Chattanooga, and just over two hours away from Atlanta. Considering its reputation, its awesome photographical potential, and the fact it involves a waterfall, it amazes me that I waited until this year to visit Ruby Falls. There are three tactics I use to beat the miserable heat during the dog days of summer. The most interesting method is to get underground, and it was exactly this motivation that brought my little group to Ruby Falls just a few weeks ago. I had read that the temperature at the Falls is a consistent 60 degrees. 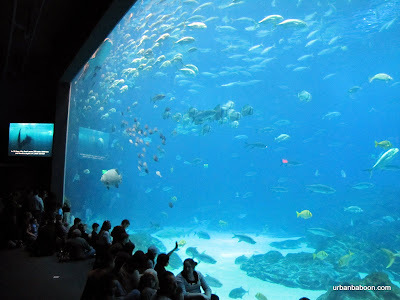 There is an Admission Fee of $17.95 ($9.95 children 12 and under) but discount Coupons are not hard to find. What you get is a 200-ft ride down in an elevator, a walk of about .4 mile to the falls, and then a nice view of a 145-ft underground waterfall. It is a very popular destination, so your time with the fall is limit to about 10 minutes to facilitate the number of visitors, but you do get to spend over an hour underground and out of the heat, in spite of the crowds. This attraction was discovered in 1928 by Leo Lambert. Mr. Lambert had played and explored in the Lookout Mountain Cavern as a Youth, but the cave’s entrance had been closed out of necessity when the Southern Railroad Company built a tunnel nearby in 1905. Mr. Lambert received permission to drill from the top of the mountain into the earth to create and access point to the caverns. After drilling about 250 feet, still 100 feet from the intended cavern below, a gush of air came out. Mr. Lambert went down to investigate, crawling for 17 hours through a crevice 5 feet wide and only 18 inches high, he stumbled on the majestic Ruby Falls. He named the falls after his wife. Originally, the tour included the Lookout Mountain Cavern and the Ruby Falls Cavern, but has since been limited to simply the Falls tour. The tour is a little strange. 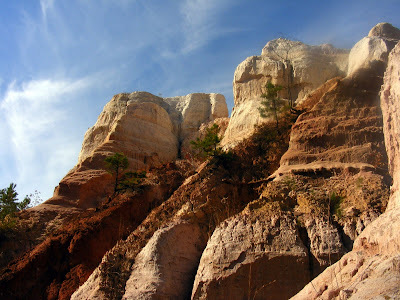 It is set up to wow its visitors the way you would expect a tourist attraction would, rather than the manner of a natural wonder. The place is filled with colored artificial light that in some ways enhances the experience, but at times makes you think that it would be pretty in its own right without it. At the end point, where the falls actually sits, it’s a full on roadside spectacular, complete with color-changing lights and majestic classic music to remind us that this is tremendous. In some ways, it creates a marvel to behold, but you still think the falls would be pretty neat on its own, regardless. The primary criticism of the place is its touristyness. And they would be right. The waterfall is magnificent, but not so much more than others I’ve seen in the area. And the trappings create an aura of goofiness. To their credit, however, the place is well maintained and beautiful. 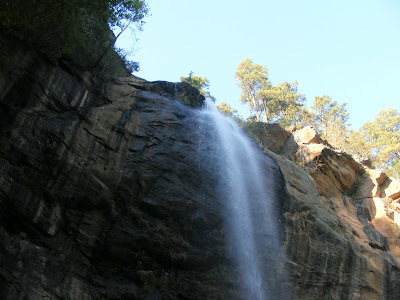 The marketing doesn’t prepare you for just how beautiful the areas surrounding the falls are. I would even say the surrounding cavern, with its gorgeous terrains filled with stalagmites and stalactites, is better than the falls itself. And the fall is very nice on its own merits. So if you are looking for a neat way to beat the heat, and don’t mind a medium length drive and a mid-range admission fee, Ruby Falls may be the place for you. 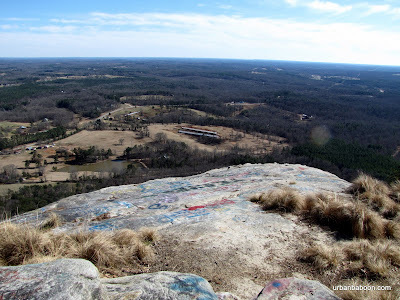 I would actually go so far as to say, considering the omnipresent nature of the advertising for this place along the Southeastern highways and byways, it is something everyone in the area ought to see at least once in their life. 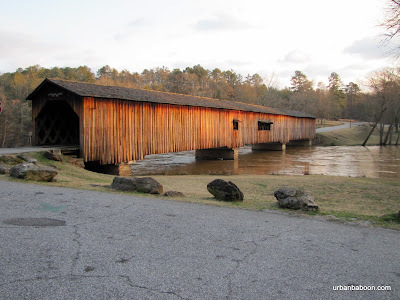 OK, Some may criticize this post as just another covered bridge post in my seemingly endless quest to view and photograph every covered bridge within a reasonable drive of my home just outside of Atlanta, and to them I say sure you are right. There is something strangely attractive and compelling about covered bridges and I have been sucked in. This doesn’t make the covered bridge less cool, I really love seeing this friendly reminders of a bygone era in the Georgia Countryside. Today, I bring you a bit of information and photos of the Auchumpkee Creek Covered Bridge, just 1½ hours South of Atlanta, near Culloden in Upson County, Georgia. The original bridge was built in 1892 by Herring and Alford, in the Town Lattice design. It spans the Auchumpkee Creek, originally at 120 feet in length, but currently at 96 feet. It has also been called the Hootenville Bridge, after the community of Hootenville that was once there. And Zorn’s Mill Bridge based on a nearby and now missing mill. It seems the bridge was restored twice. The first one in 1985 was more of the general restoration you see in a lot of these bridges. The latter in 1997 came after terrible flooding in that part of Georgia destroyed the bridge, this was done by the firm of Arnold Graton & Sons. They used as much of the old bridge as possible, but there’s more new here than old. But I’m glad to see that it is truly in the spirit of the original bridge. The bridge is located about 40 feet off the of Allen Road, a little bit East of GA 19 and about 10 miles South of Thomaston, Georgia. In addition to the bridge, the stream is pretty and apparently a decent place to fish. There is one picnic table that we utilized with pleasure. There are no facilities at the site. So if you are a Covered Bridge Buff and want to see another of these quaint pieces of history, Auchumpkee Creek Covered Bridge is a pleasant diversion. It is held up well because of the rebuilds and the distant location has limited the destructive influences.